While the trial of Irish mob boss Whitey Bulger ended in a conviction for extortion, money laundering, drug dealing and weapons possession, the ramifications of his crime ring have yet to cease. 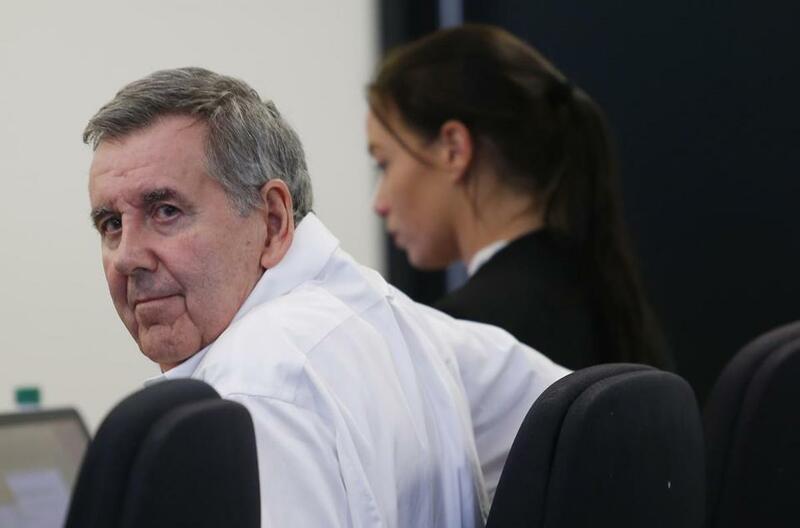 The grand jury recently charged William Camuti, an alleged ally of Whitey Bulger, with the murder of extortion victim Stephen Rakes. According to the authorities, William Camuti arranged a business meeting at a Waltham McDonalds with Stephen Rakes on July 16. Therein, Camuti presented Rakes with a cup of McDonalds iced coffee, which he had laced with two teaspoons of potassium cyanide. The poison acts against the body’s ability to process oxygen intakes. Accordingly, Rakes was soon to become unconscious. Camuti sent two emails inquiring about the price of potassium cyanide in the days before Rakes’ death. Police investigation revealed that Rakes took a sip of the coffee and thought it tasted too bitter. Nevertheless, he remained in Camuti’s car and was driven around Waltham, Woburn, Burlington and Lincoln until he eventually died. A jogger found Rakes’ lifeless body in a wooded area in Lincoln the next day, and alerted authorities. Stephen Rakes attended Whitey Bulger’s trial on the same day as his meeting with William Camuti. Rakes is just one of the many victims of Bulger’s extortion schemes. Allegedly, Rakes hoped to be on the witness stand in the Bulger trial, but he was dropped from the witness list shortly before the trial. Surveillance videos at the courthouse show Rakes wearing the same clothes he was found in by authorities the next day. Yet, authorities have not linked Rakes’ death to the murder trial. Prosecutors state that Camuti acted alone, not on behalf of Whitey Bulger, in order to settle some debts with Rakes. As police investigation progressed, William Camuti seemed to break under the pressure. On July 20th, before his indictment, Camuti cut his wrists in his Sudbury apartment. While Camuti’s lawyer Stanley Norkunas called the incident a “psychiatric episode,” Camuti was clearly impacted by the repercussions of his admission. Massachusetts Law Chapter 265, Section 28 states that “whoever mingles poison with food, drink or medicine with intent to kill or injure another person” is liable to life in prison or any term of years.” This punishment, coupled with Camuti’s admission of intent, is thus left to the discretion of the court. Massachusetts Law Chapter 265 Section 2 punishes first degree murder (deliberate and premeditated) with life in prison. Coupled with the poisoning charge, Camuti’s murder charge will most likely result in life in prison for the Sudbury resident. The trial for one of the nation’s most wanted fugitives just began in Boston. James “Whitey” Bulger – the alleged Winter Hill Gang leader – eluded law enforcement for decades. According to reports, he fled Boston in 1994 and was captured 17 years later living in Santa Monica, California. Described as a modern day Robin Hood, Bulger initially achieved prominence in south Boston by helping out his working class neighbors while keeping drug dealers at bay. Some even thought of him as a “near-mythical figure…” While revered by some, others reportedly saw a different side to Bulger – that of a cold-blooded killer. Law enforcement alleges that Bulger was a hardened mob-boss, and is implicated in the murders of 19 people over the course of 30 years. Bulger is on trial as the result of a 32-count racketeering (RICO) indictment, including his involvement in the 19 murders. RICO is a federal charge of racketeering, commonly used in organized crime and mob trials. It is broadly defined as the act of operating an illegal business or scheme for profit, perpetrated by a structured group. Racketeering can involve several different criminal acts such as murder, fraud, illegal gambling, money laundering or prostitution. Often, mob bosses or gang leaders can be found guilty of racketeering charges for crimes they ordered. This means someone may be found guilty of murder even if they weren’t the one who actually committed the act. For the prosecution to prove Bulger is guilty of racketeering, the government must convince a jury beyond a reasonable doubt that Bulger was responsible for at least one of these crimes. If convicted, Bulger could face life imprisonment or even the death penalty. The prosecution also alleges that Bulger was an FBI informant – a claim that Bulger fervently denies. On Monday, June 24, a federal agent testified that Bulger [Informant 1544] provided details concerning the Mafia, tips in murders and other insider information leading to imprisonment for others. While the defense strategy will be revealed over the next weeks and months of the trial, it is likely that Bulger’s criminal defense attorneys will attack the credibility of the witnesses testifying against Bulger. If the jurors fail to believe the prosecution’s witnesses, then the government won’t have met its burden to show Bulger’s guilt beyond a reasonable doubt. One of the star witnesses against Bulger is Johnny Martorano, a man who has confessed to killing 20 people. As the result of a plea agreement, Martorano served only 14 years in jail. In a deal with the government to testify against Bulger, he was released from jail after serving only 12. Can the jury trust the testimony of a convicted killer? Martorano has clearly benefited from agreeing to testify against Bulger. He [Martorano] has also sold the film rights to his life story, as well as collaborated on a book entitled Hitman. It appears that Martorano has nothing to lose by testifying against Bulger, which weakens his credibility. In fact, another witness for the prosecution admitted during cross-examination that inmates know they can get “extraordinary benefits” if they agree to testify for the prosecution. As is often the case in mob trials, several of the other witnesses for the prosecution have credibility issues and are linked to criminal activity. The defense is also seeking to lift the current gag order, preventing Bulger’s attorneys from speaking to the media. Bulger’s team wants to be able to fight back in the press and on television, which has primarily portrayed Bulger in a negative light. Too often, the public forms an opinion about a criminal defendant’s guilt or innocence that is hard to shake, even if the defendant is eventually acquitted. The Bulger trial is expected to last up to three months and will provide a glimpse into alleged mob life in the 1970s and 80s. Bulger has pleaded not guilty to all of the charges.